Genomics is behind what’s known as ‘personalised medicine’. Information about an individual’s genetic make-up is used to predict, diagnose and treat disease and ill health in the way that will work best for that individual. 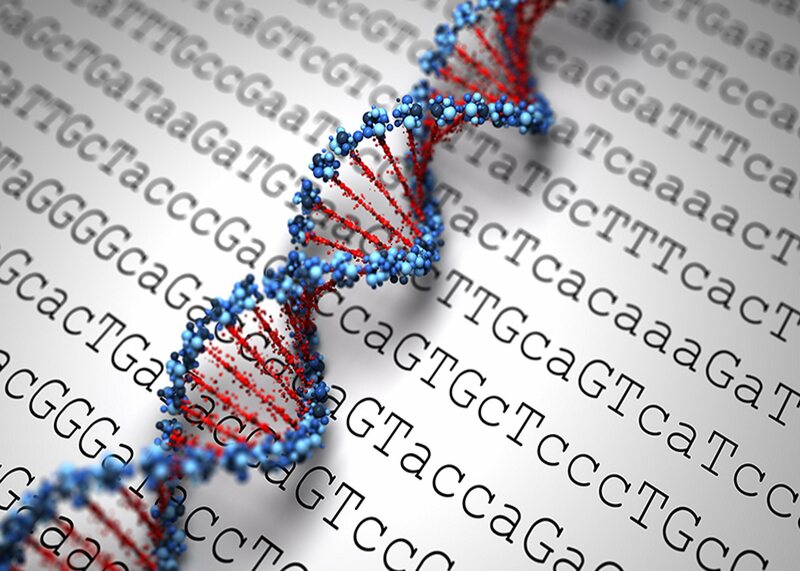 Genomic medicine relies on being able to compare an individual’s DNA against that of tens or hundreds of thousands of other NHS patients with the same condition. The information returned is not only relevant to the individual but to members of their family too. The concept of sharing health data for both individual and collective good is already well understood and has been embraced by many patient groups, and reflects the founding principles of the NHS. However, it is a concept which is still unfamiliar and potentially worrying for the wider public. Why a public dialogue now? One of the key recommendations in the Chief Medical Officer’s annual report ‘Generation Genome’ published in 2017 was that “Genomics England and NHS England engage in an extensive public dialogue on the shared social contract between patient, public, clinicians and academics in relation to genomic medicine.” Genomics England are keen to deliver this, building on their previous engagement work in the ‘Genomics Conversation’. This dialogue takes place at an important time for the 100,000 Genomes Project, run by Genomics England and NHS England. By the end of 2018, the Project will have sequenced 100,000 genomes from 70,000 NHS patients affected by either rare disease or cancer. Beyond this, the ambition is to embed genomic medicine into the NHS so that it becomes part of routine care and treatment so that everyone can benefit. Discussing all the ways that the genomics rollout could work will involve in-depth discussions with the public. They will need to consider detailed information, and engage with some complex scientific ideas. A dialogue process lets us bring the public together with experts to explore the issue in detail, giving us richer findings than shorter focus groups or a survey. “Your genome contains information that may be important for you and your family’s health. But it can also benefit the health of other NHS patients. This is because all genomes contain clues about disease and ill health. The more genomes that can be studied, the more likely the chances of finding those clues. This is one side of the coin – what you can do for others. But the reverse is what others can do for you. Your genome can only be understood by comparing it to the genomes of many other NHS patients – the more there are, the better for you and your family. The outputs from the project will feed through directly to the work already underway to develop genomic medicine as part of routine NHS care and ensure that policy makers have a more solid foundation of information to inform next steps and to move policy making forward successfully. It will also provide clarity on the understanding of the concept of a ‘social contract’ between the NHS and those that use it, allowing further development on the principles. It will also shape the language and messages used. How will the dialogue be structured? The project will last for 8 months, and involves a rapid literature review, a stakeholder workshop, reconvened public dialogue workshops with up to 100 members of the public across three locations, followed by a Summit bringing together many of the participants with stakeholders to evaluate different futures for genomics and the NHS. An oversight group will bring independent scrutiny to the project, and will help Genomics England develop materials for the public to use in their workshops. It is made up of a range of people who will bring different perspectives and expertise. “This public dialogue is a really important part of ongoing work to understand how society is responding to, and what expectations the public have, about genomics. We know that general public awareness and understanding about genomic medicine is quite low. But what I want us to gain through this dialogue is a picture of what public expectations might be, and in particular what patients using the NHS think they should offer in return for their healthcare – their side of this ‘social contract’. The dialogue process is being designed and managed by the Ipsos MORI Social Research Institute, following a mini competition organised via the Sciencewise framework of dialogue delivery contractors. URSUS Consulting have been appointed to evaluate the project. Updates on the project on will be posted on the Genomics England website. Simon Wilde and Katrina Nevin-Ridley at Genomics England. Alec Weir at UK Research and Innovation.